Save the Children is committed to achieving breakthroughs for children in Tanzania, including violence no longer being tolerated against children. Save the Children Tanzania implements child protection programming in five regions of Tanzania, focusing on prevention of violence against children, child protection system strengthening and assisting children who are on the move in a humanitarian setting (Refugee Response). The Child Protection Specialist will advance this work to ensure it is technically sound and in line with the global guidance and relevant Common Approaches. The Child Protection Specialist will provide technical support and leadership to staff and partners, including the Government of Tanzania, drawing on current global evidence, good practices and Save the Children’s standardised approaches. She/he will work with the Director of Program Development and Quality and other technical specialists (Education, Child Rights Governance, Health & Nutrition) to position and grow the child protection portfolio in line with Save the Children Tanzania’s strategic plan for 2019-21. She/he must bring strong technical leadership, interpersonal and communication skills and a proven track record of working with child protection issues in development and humanitarian settings. The post holder should also have a solid understanding of the child protection sector and government structures (national and local level) in Tanzania and some of the current challenges to enforce, protect and fulfil child rights in the country, linked to national action plans, strategies, tools and stakeholders. At least 5 years of professional experience in Child Protection. Demonstrated experience of developing and managing relationships and funding from donors or other development partners. Prior experience in a leading role on the development of competitive and complex projects. Demonstrated experience working with international, national and/or regional level government structures to strengthen the capacity of the government to deliver services. Proven experience in programme development, project cycle management and monitoring and evaluation related to the sector including writing up high quality project/donor reports. Proven experience and skills in advocacy and building work relationships with local/national governments and influencing institutional, private and/or corporate donors. Solid experience and excellent skills in leading and building capacity of systems, staff, partners and other actors related to CP. Ability to extensively travel for project monitoring and provide on-site technical support to field teams. Experience of building personal networks, resulting in securing new opportunities for the organisation. Experience solving complex issues through analysis, definition of a clear way forward and ensuring buy-in of others. 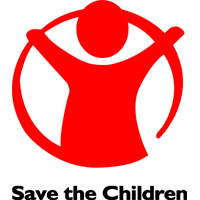 Commitment to the Save the Children values and willingness to abide by Save the Children’s Child Safeguarding Policy. Exposure to NGO project design and delivery. Swahili language skills and experience working in East Africa.